Do you ever you get so caught up in the schedules, and stresses, and disciplining of motherhood that you feel like you’ve completely lost your fun side? 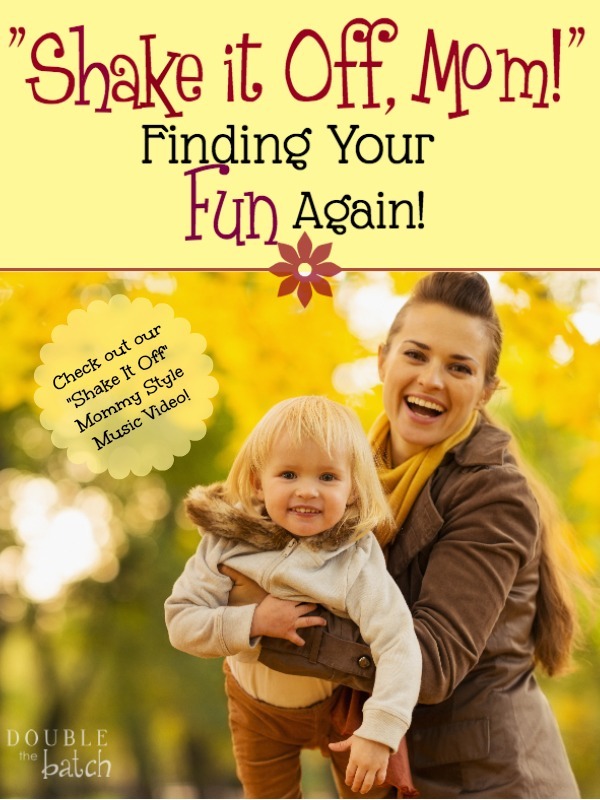 It is never too late to find your fun side again, and making it a part of your mothering will improve your mood and your relationship with your kids. It still there inside. It just may have gotten buried by a few too many loads of laundry or dishes. I don’t want to look back on my child raising years (which are going by way too fast) and just remember being stressed and angry and frustrated with these delightful, though often difficult, children I’ve been blessed with. I want to enjoy them now- in the moment… but it is hard to stay focused on that when things get rough. So, when the stresses of motherhood get us all up in frenzy, I’m hoping this little video will help us remember we just gotta “shake it off” and enjoy the amazing experience that is raising children! Here is my version of Taylor’s Swifts “Shake It Off”- a Mommy Style Remix, if you will. A special thanks to my brother, Shayne Taylor, for recording and editing the music, and Michael Gibbons for mixing it for us. Also, a special thanks to my sister Karissa Hardman for providing the lovely lead vocals, and my sister Jana Wangsgard for her filming skills and letting us use her home for our set. You didn’t think this post could possibly get any better did you?! Well, we’re also throwing in a BlendTec giveaway! It ends next Monday so hurry and use the Rafflecopter below to put in your entries now!